Edgar Rodriguez started work in April 2018 as Director of McDonough County’s Emergency Services and Disaster Agency (ESDA). It is a part-time position but he has put in some long days during the past ten months. “We’ve had a blizzard, two tornadoes touch the county, a snow storm, a (train) derailment, and we’re dealing with frigid cold conditions now,” Rodriguez said. Rodriguez said Carle is part of the state’s emergency management team. Carle is now a teacher at Western Illinois University and he is a former lieutenant and investigator with the Macomb Police Department. In addition to leading McDonough County’s ESDA office, Rodriguez has also been busy the past ten months because he is a student at Western Illinois University. In May he received his Bachelor of Science degree in Emergency Management and he is currently working on a Master’s degree in Geography, specializing in Geographical Information Systems (GIS). Rodriguez recently helped out after a freight train derailed between Adair and Table Grove. “Western is the only university in the state of Illinois and one of the few universities in the nation to have an Emergency Management program. What brought me to Illinois and Macomb was the program in Emergency Management and the fact that Western Illinois University has a great background helping service members,” he said. Rodriguez said he is originally from Caracas, Venezuela. He later lived in the Washington D.C. area for almost 15 years while he was in the U.S. Army, where he said he gained experience in emergency services by helping deal with disasters such as Hurricane Sandy. He said he also volunteered with a local fire department’s emergency response program while living out east. Rodriguez said ESDA’s role is to help coordinate the various agencies that respond to emergencies. He said ESDA can also offer a lot of resources to police, fire, and EMS agencies, including bringing in training programs that are funded by the federal government. 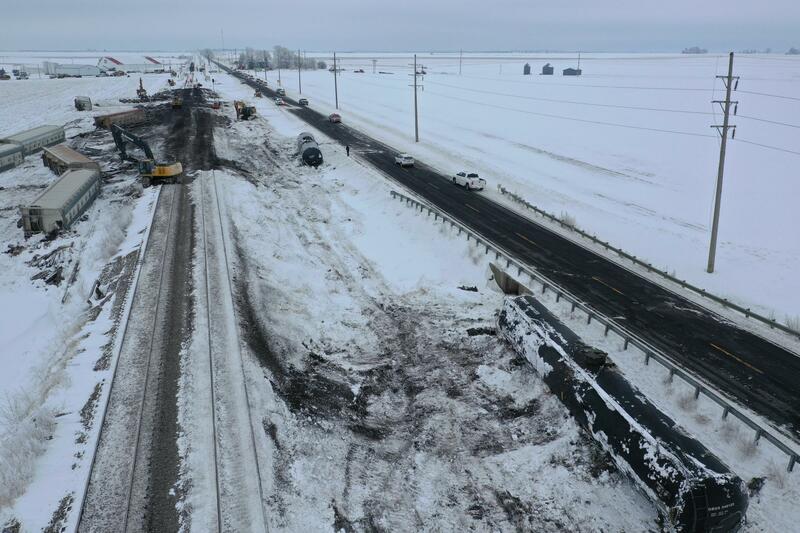 It might be Tuesday evening before a stretch of Route 136 fully re-opens in eastern McDonough County. The highway was closed late Sunday afternoon because a train derailed between Adair and Table Grove. Stacie Kwacala has been in business since 2009. She runs Captured Moments Photography, where she preserves memories through photos for weddings, pregnancies, high school seniors, and more. She more recently started donating her time and skills to encourage prospective pet owners to create memories by adopting an animal from the local shelter. A high quality reproduction of a famous photo of Abraham Lincoln was unveiled during a brief ceremony at the McDonough County Courthouse. The image was captured by highly regarded photographer Alexander Hesler in Springfield in June, 1860, which is right after Lincoln won the Republican nomination for president.